The most adorable album of cuddly pups to make and keep. From the stumpy little Corgi to the bouncy Collie, which playful little chap will be your fave? Can you choose? 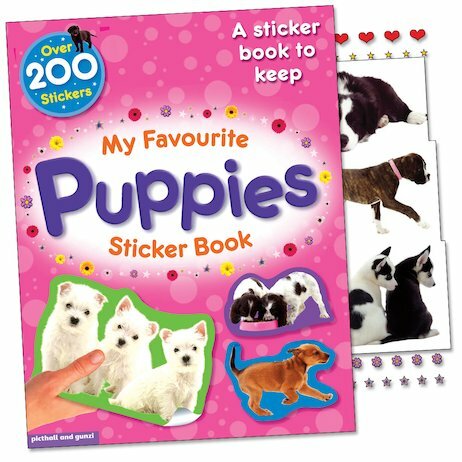 This charming, colourful sticker book has gorgeous puppies from all sorts of breeds for you to meet and identify, plus simple facts to learn and over 200 irresistible stickers. A beautiful book to decorate and treasure, packed with puppy friends!